High among the many achievements of the Spanish King Alfonso X, called “El Sabio” —the Wise (1221-1284) is the superb collection of more than 400 sacred songs to the Virgin Mary, the celebrated Cantigas de Santa Maria. 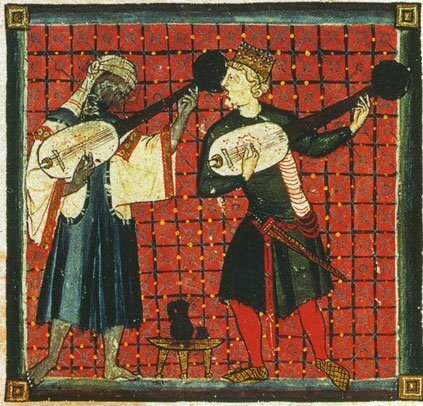 King Alfonso’s Cantigas are the most important examples of vernacular song from the Spanish Middle Ages; more than that, they are a summit of medieval Christian spirituality. The Newberry Consort performed certain of the Cantigas for the Boston Early Music Festival in Jordan Hall yesterday. The Cantigas are preserved in several large and elaborate manuscripts prepared at the royal court; and while it is doubtful that the King composed all of the songs personally, it is clear that he was closely involved, emotionally and materially, in their compilation. These manuscripts are of intense interest to historians of Iberian literature, of medieval poetry in general, both Romance and Arabic, of medieval religious belief, especially of the popularizing kind, and of European art history (the sources are magnificently and copiously illuminated). The music of the Cantigas has proved enormously appealing to early music performers of the later twentieth and 21st centuries. The melodies are virtually all notated, most of these containing important if controversial hints regarding rhythmic cycles and rhythmicization (Everyone has an opinion about the rhythms: the Newberry Consort performers at Jordan Hall opted almost throughout for precisely measured, occasionally quirky, versions of the tunes). Like the texts, composed in Galician/Portugese and dealing mainly with miracle stories and legends, many of the tunes appear to relate somehow to a popular or folk sensibility rather than to the somewhat more arcane world of Gregorian chant (on the one hand) or courtly love lyric (on the other)— even if there are documented borrowings within the Cantigas from both these medieval streams. The many wonderful Cantigas melodies exert an immediate appeal across the centuries, even if other aspects of their being remain difficult and hermetic. We are centuries away from any living performance tradition for these works; in fact, there is no documentation whatsoever that the Cantigas, when they were new, were ever actually performed, “ lifted” from the manuscript pages and made to sound forth in real time. One thesis has it that they are simply written and painted offerings to the Virgin. Nonetheless, we perform them, and I believe that to be the right decision. But as with all medieval music we seek to perform anew, the recreation of some sort of plausible playing and singing ethos is a paramount consideration. This is the central challenge/quandary of the repertoire. The Newberry Consort made a number of determinations and choices as to how they needed to be shaped in a modern concert hall. Important among these was the choice of presentation by an ensemble of voices and instruments: six members of the core consort (David Douglass, co-director, vielle and rebec; Ellen Hargis, co-director, soprano; Matthew Dean, tenor and narrator; Shira Kammen, harp and vielle; Mark Rimple, lute and citole; Tom Zajac, flute, psaltery, bagpipe, pipe & tabor, and percussion). The Newberry Consort was assisted by a very active local group, Exsultemus, under soprano Shannon Canavin’s direction, with Shari Alise Wilson, soprano, Pamela Dellal, mezzo-soprano, Martin Near, countertenor, and Michael Barrett, tenor. Choosing to perform Cantigas with an ensemble is not self-evident— some scholars have called for solo voice performance (an idea that seems plausible, even likely, for a certain number of the songs). And the related troubadour song repertoire of Provence was, according to our best current understanding, largely a soloist enterprise. The Newberry Consort’s preference for a larger ensemble, including a ripieno choral group, seems, however, like a more coherent and reasonable choice for the bulk of this repertoire. The Cantigas, despite resemblances and even a few borrowings from the troubadour ethos, are not troubadour songs. Most of them contain refrains, coming at the end of each narrative or lyrical strophe, and it is entirely plausible to think of those refrains as group or choral responses to a soloist’s sung narration, in the context of a collective spiritual celebration. This was the approach we experienced at the Jordan Hall concert. Another hurdle in the modern-day performances of Cantigas that has needed gradually to be overcome is literary/linguistic/philological, and, more profoundly, theological. The tunes, so many of them catchy and hummable and danceable, are immediately accessible on some level. The texts, however, require more tender loving care to yield up their beauties. The Cantigas are more than a collection of beautiful melodies: they are tokens of belief, an affirmation of popular religiosity against the more formal doctrines of the Church hierarchy. And although the Jordan Hall audience laughed at some of the more outlandish twists of the narration, the miracle stories, weird ones included, were intended, in my opinion, to be apprehended and believed as literally true. It must be said that a measure of aversion to the poetry, written in one of Europe’s minority languages and understood/ spoken by few modern-day singers, continues within the early music field. I recense, on Spotify, 15 separate streameable versions of Cantiga 166, Come poden per sas culpas, a miracle narrative with a relatively brief text comprising four strophes only. Of the fifteen recorded performances I auditioned, four present all the strophes; three present three of the four; one presents the opening strophe only (sung twice); and the other seven are purely instrumental. All praise, therefore, to the Newberry Consort, which, in its BEMF concert, performed every vocal piece in extenso and illustrated the Cantigas with supertitles and blowups of the miniature illuminations from the manuscripts (somewhat in the manner of the Roman de Fauvel, performed with projections by The Boston Camerata at the 2011 festival). Another issue that must be considered/dealt with in attempts to perform these works in modern times is their cultural specificity. All medieval civilization, of course, is very distant from us, and all modern reconstructions of medieval music must, of necessity, be approximations on many levels. But medieval (and for that matter, modern) Iberia is unlike northern and central Europe in its proximity to north Africa, Islam, and the Mediterranean world. The issue of how the Cantigas might or might not relate to the musical cultures just south of Spain, on the other side of the straits of Gibraltar, and to the non-Christian segment of medieval Spanish civilization, is too complex to be dealt with in the space of a review. But the question has been an important part of the modern discussion around Alfonso’s collection for at least a century. Two factual items could be mentioned in this too-brief context: the existence of a census roll for the court musicians in the employ of King Alfonso’s son; half of these, it turns out, were Muslim. Another is the infinitely evocative series of musician illustrations in one of the Cantigas manuscripts. The one you see here depicts a dark-skinned man in Arabic dress performing in tandem with a light-skinned European of “good” lineage (he wears a sword). The “white” musician on the right is presumably the Christian of the duo, and he sings, presumably a Cantiga in praise of the Virgin. What then, to do with evidences of “multiculturalism” in medieval Spanish music? Remember, we can’t be sure of anything, and any choices we make are hypothetical, contemporary ones about a very distant past. One possibility is to do nothing in particular with such evidences, and to perform the Cantigas like any other European art song. Another, initiated by the late Thomas Binkley and the Munich Early Music Quartet in the late 1960s and 70s, involves importing or integrating certain elements of non-European musical practice into the Cantigas interpretations. A more radical and recent approach has been to involve actual practicing musicians from extra-European traditions into an ad-hoc ensemble, in an attempt to re-invent a more plausible tradition, even if that tradition is “new,” and at least partially invented. In the late 1990s, Camerata Mediterranea recorded a selection of Cantigas in Fez, Morocco, using an instrumental consort of Moroccan musicians of the Arabo-Andalusian school, augmented by two “Westerners,” one of whom was Shira Kammen, also one of the participants in the Newberry Consort program at BEMF. The five solo singers recruited for that program were Moroccan, Muslim-Kabyle, Jewish-Kabyle, Spanish, and French/Occitan. Other ensembles led by Eduardo Paniagua, René Clemencic, Jordi Savall, and other, perhaps less distinguished performers, have attempted to capture some extra-European dimension widely felt to be present, somehow, in this very specific repertoire. Note that the cast for Savall’s BEMF appearance, scheduled for two days after this one includes Turkish, Armenian, and Arabic musicians in the roster. Thus it is that the Festival’s decision to program an afternoon of Alfonso’s Cantigas with an entirely North American cast seems, at first glance, counterintuitive and even, somehow, defiant. Perhaps this is what was intended, with Savall’s current “Oriental” approach meant to offset this present one. No opprobrium is here directed towards the Newberry Consort, one of America’s distinguished early music ensembles, with a fine track record. But one thinks that if the intent was to showcase this well-respected group, perhaps another area of repertoire in which these musicians excel could have been chosen. Nonetheless, a good argument can be made that a performance by skilled American early music professionals is bound to be worthy of attention. And so, arriving in Jordan Hall, we prepare to listen to an ensemble of accomplished musicians for what they have to propose. The Newberry’s performance ethos/“vibe” was, it was clear from the opening notes, not going to make many concessions to the “orientalizing” side of current practice/fashion/trend. We were offered careful, well-considered and (mostly) clean readings in what you might call the Early Music Mainstream. One could say that the general effect of the tuttis tended towards High Church, or Choral Evensong: normal enough, in fact, as these very good singers have extensive experience in Renaissance and Baroque music, and normal as well because expressing reverence and spirituality in refined tones comes naturally in our Euro-American culture. Was the performance style of the Jordan Hall performance close in its Stimmung to what might have been heard in 13th-century Spain? Would a group of worshipful singers and players assembled at that time and place have made a sound much like this one? That is, of course, a question without a hope of a definitive answer. This writer, however, thinks not, even as he respectfully acknowledges the hard work that went into the current production. The voices were admirably just and transparent, and careful attention had been paid to proper enunciation and articulation of the Galician poetry (the sung passages more effective than the spoken ones), even if a “lived” relation to the songs’ content was not everywhere evident. The solo-choral aspect was well delineated. There were some timid choral entrances, probably a function of too-limited rehearsal time, the bane, alas, of special festival productions. A number of the Cantigas narrations contain, within the strophes, mini-dialogues among the various characters of the story. These “bit parts” were assigned to the singers of Exultemus, who acquitted themselves well, albeit a bit too scholastically, reading from their choir folders rather than communicating their phrases directly to the audience. The choral tuttis, also, were performed with choir folders held high, even though these refrains, unlike the solo strophes, are relatively easy to memorize. Ellen Hargis, too, remained “on book” for this performance, reading from score placed center stage, on a metal music stand, and was the principal soloist throughout the program. Although I find her more compelling when she performs from memory, she delivered her many, many strophes with her customary skill and care, shaping tempo and phrasing to the narrative needs of the moment. This reliance on scores by all the singers did, however, give the performance a certain static quality. I found Ms. Hargis especially effective in Cantiga 103, the touching story of the monk who listened to the song of the birds for three hundred years. Given the nature of this program, and the need to avoid undo uniformity, I would have appreciated the presence of at least one other solo voice to take the lead role in certain songs, counterbalancing the contributions of Ms. Hargis. Within the Exultemus crew there are voices and personalities capable of being challenged to assume a leading role. “Let a hundred flowers bloom,” to cite King Alfonso, or perhaps it was Chairman Mao. Some of the Cantigas were given instruments-only interpretations, and these instrumental performances were delightful, a highlight of the concert. 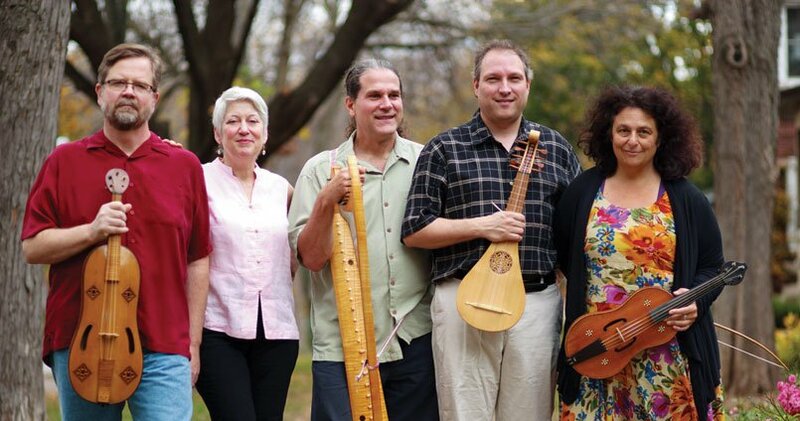 Boston-based Tom Zajac outdid himself on flute, recorder, bagpipe, and psaltery. The public was rightly enthralled by his recorder’s birdcalls on the above-mentioned Cantiga 103. Shira Kammen was fine on vielle and harp, although her fiery temperament and unique improvisatory gifts were kept under wraps in this particular, somewhat buttoned-down context. The program was intelligently conceived, moving from the wacky, quasi-heretical stories of Cantiga 42 and Cantiga 7 to the more orthodox recapitulation of Christian doctrine of Cantigas 423 to 426. The above-mentioned projections of supertitles and miniatures from the Cantigas manuscripts added greatly to the audience’s enjoyment. As the content of the songs progressed during the program towards the “official” theology of the Church, the performances, probably by design, took on a quieter, more ethereal quality. Cantiga 425 was, thankfully, delivered for much of its duration in a freer, unmeasured manner, relieving us from some of the overly-insistent metricality of much of what preceded. That piece, number 425, also provided one of the vocal highlights of the afternoon, as the four womens’ voices achieved a ravishing unanimity of choral timbre. For the final song, the magnificent Cantiga Rosa das Rosas, the singers lowered their scores and communicated poetry and musical line unpretentiously, but with their entire beings. It was the unique vocal passage of the concert that convinced me, unequivocally, that I was listening to something “real” from the world of medieval Spanish spirituality. The audience at concert’s end cheered and bravoe’d the performers, who were clearly pleased by the welcome. Joel Cohen is Music Director Emeritus of The Boston Camerata and Artistic Director of Camerata Mediterranea. He is currently seeking funding sources for a production of Judaeo-Arabic music from Morocco.